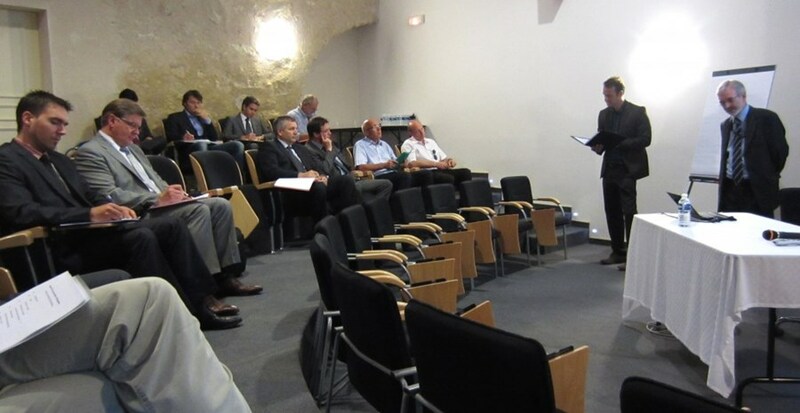 Swiss industry offers "niche competence"
Under the sun of Provence, the delegation looks toward the Tokamak's anti-seismic ''pillows'' and listens to Tim Watson (pointing), director for Buildings & Site Infrastructure, as he relates the latest on ITER construction. As a member of Euratom, Switzerland has been involved in the European fusion program and ITER from the start. And the country's interest in fusion is not only scientific. Last week, on Wednesday 20 June, 18 representatives from the Swiss industry came to the ITER site to see the project's physical progress, but also to get a first-hand update on upcoming procurements and tenders. "There are not so many opportunities for Switzerland to participate in the building of ITER's largest components," said Michel Hübner, ITER Liaison Officer for Switzerland. "But Switzerland has some recognized niche competencies in the domain of complex electro-mechanical systems. We are therefore looking for matching tenders to be issued from the European Domestic Agency, other Domestic Agencies, or the ITER Organization over the next years. Some Swiss companies have already joined their forces and created consortiums in anticipation of ITER's demand." 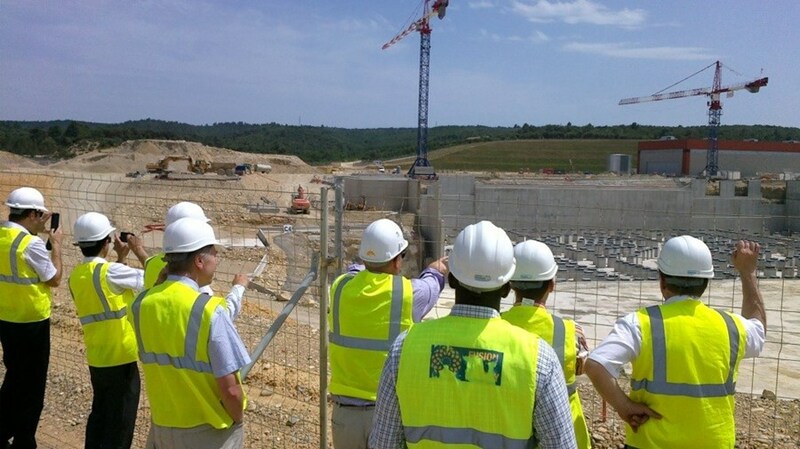 The delegation's visit to the ITER construction site was preceded by an off-site meeting with senior representatives from the ITER Organization. Here Michel Hübner, ITER Liaison Officer for Switzerland, introduces David Campbell, head of ITER's Plasma Operation Directorate. The delegation's visit to the ITER construction site was preceded by an off-site meeting during which senior representatives from the ITER Organization reported on the design and manufacturing status of the major components. Philippe Olivier from the Industry Liaison Office within Agence ITER France and Kurt Ebbinghaus from the German ITER Industry Forum (DIIF) also participated in this event.